Who are the Competition Team? Dan Newton, Alayah Murphy, Michele Golland and Rose Batty, alongside a number of great people from the Rounders community, have put their heads together to build on an exciting programme of competitions for 2019. Our aim is to inspire and develop a range of competitions that align with the need of the Rounders community. Favourite day of the week: Sunday, because it’s family day! Favourite day of the week: Saturday, because I like weekends! Favourite Rounders Position: 1st post when playing with the South Yorkshire Mixed League (SYML) dream team – All Rounders! Since booking the venues we have been working hard at recruiting workforce, working alongside teachers, developing marketing and planning game formats. Why? Connecting people through Rounders. What better way than having lots of opportunities to get together with likeminded people and play Rounders! Who? They’ll be plenty of competitions to get stuck into whether you’re a new team, existing team, winners of your league, school team, and University team. What? The competitions are broken up into two types; broadening your social circle and fun and the other is all about team spirit and winning. There are school competitions for ages 10 – 16, University Clubs, festival style competitions, a Championship competition and more! Where? All over the country! When? Check out the full competition calendar here. Fancy your hand at umpiring a Rounders England competition? 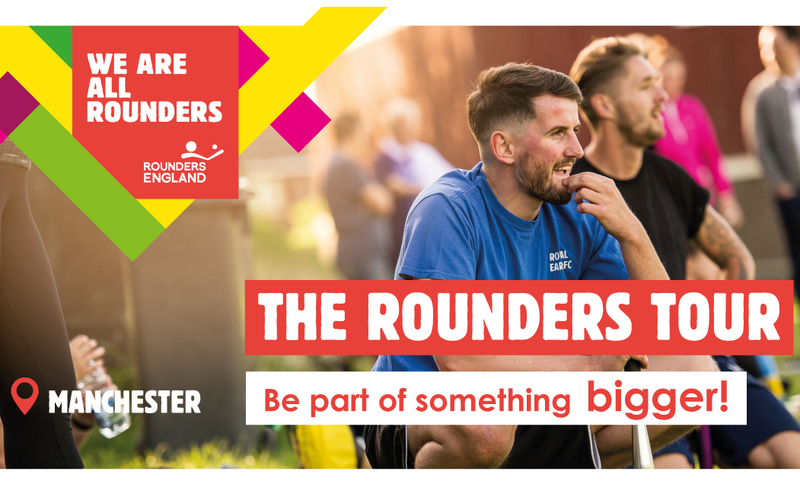 Get in touch with competitions@roundersengland.co.uk we’d love to hear from you!